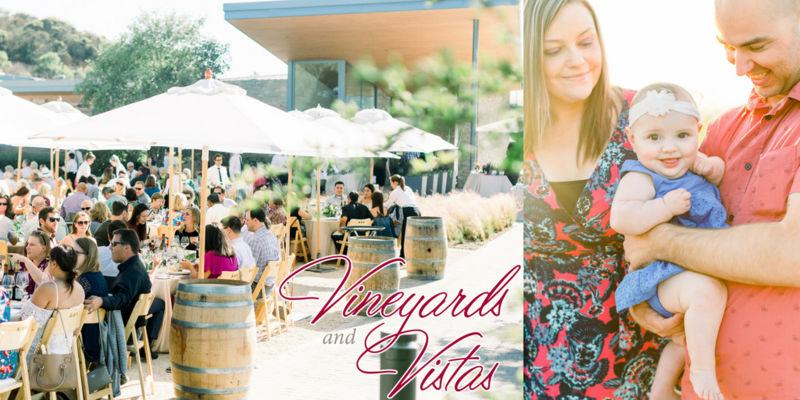 To see all photos from Vineyards & Vistas, visit our Flickr page by clicking here. The Marian Regional Medical Center Foundation Board of Directors would like to thank all the sponsors, attendees, and donors who made Vineyards & Vistas a success! On a clear, beautiful day, more than 350 people experienced the Marian Regional Medical Center Foundation's Annual Dinner, Vineyards & Vistas at Presqu’ile Winery in Santa Maria. This special event brought together individuals from all across the Central Coast to advance pediatric services on the Central Coast. Through the generosity of sponsors, attendees, and community members, more than $322,000 has been raised to develop pediatric cardiology, oncology, and outpatient specialty care services. At the event, Edward J. Murray was honored with the 2018 Distinguished Service Award for his legacy of support for Marian Regional Medical Center and the community. Attendees also heard about the lifegiving services provided to local children and the need to advance services. With the rapid growth of the Santa Maria Valley, Marian Regional Medical Center is growing alongside the community to support our smallest residents. Currently, highly specialized pediatric care is non-existent on the Central Coast, forcing families to travel out of the area to Los Angeles, the Central Valley, or the Bay Area for advanced pediatric care. Keeping pediatric patients close to loved ones and familiarity is of great importance in the healing process. As of 2018, Marian serves 35,000 pediatric patients a year through inpatient and outpatient services, which represents a 26% increase in pediatric volume since opening the new hospital in 2012. As Sue Andersen, President and CEO of MRMC, reinforced at the dinner, “We are committed to this community and our patients.” With the enthusiastic, strong support of the community, younger patients will soon be able to stay in Santa Maria for cardiac, cancer, and critical care services. To receive updates on future fundraising efforts from the Marian Foundation, please contact the foundation at 805.739.3595 or join our mailing list by clicking here.